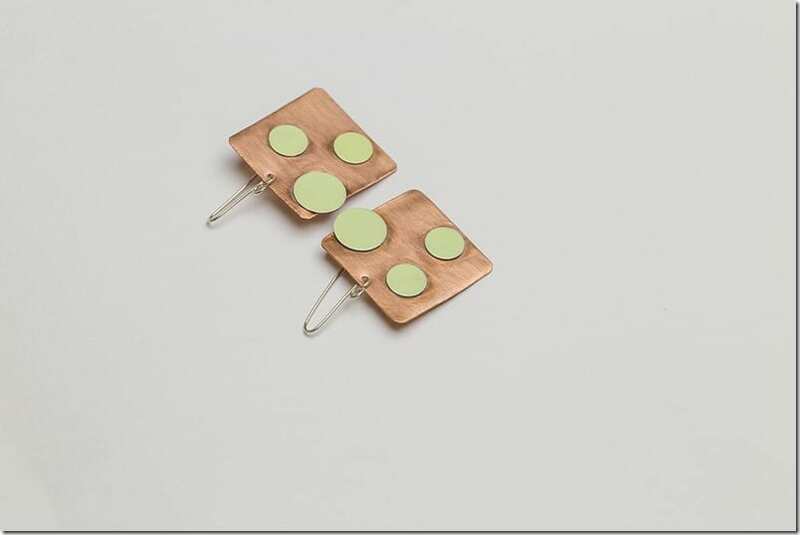 Whimsical dots over copper to hang on your ear lobes this season. Sometimes, you come into a jewelry style that catches you off guard and you wonder where have you been all this while? It’s time for the earring inspo post for you earring hoarders who are a fan of unexpected bang in your jewelry department. 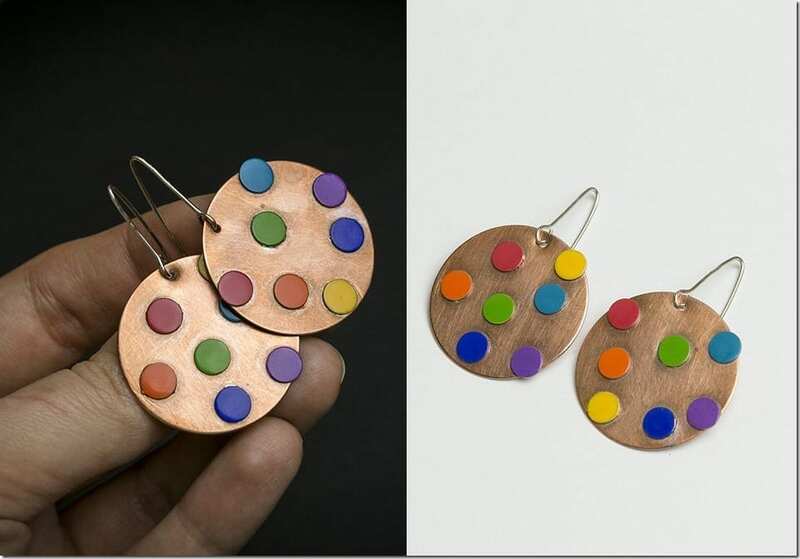 This earring style got me at hello and I really fell for the colored polka dots sitting over the canvas of copper. 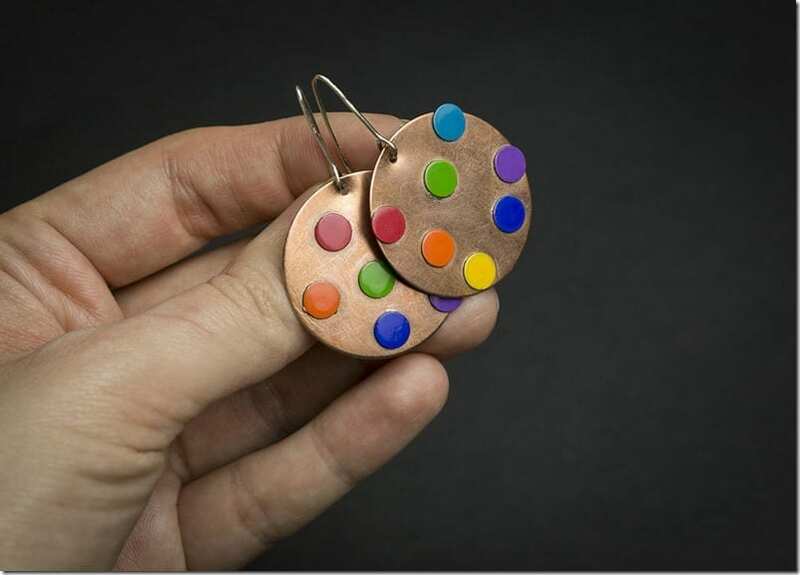 The rainbow dot copper earrings in particular stood out as I felt that if anyone needed to hit the refresh button in their old earring repertoire, this would be it. The way the dots are laid whimsically and some are over the edge of the copper piece on purpose delight me so. It reveals the jewel maker’s artistic flow and it is refreshing. The colors from the dots uplift the rustic mellowness of the copper and together, the earrings are delightfully transformed. 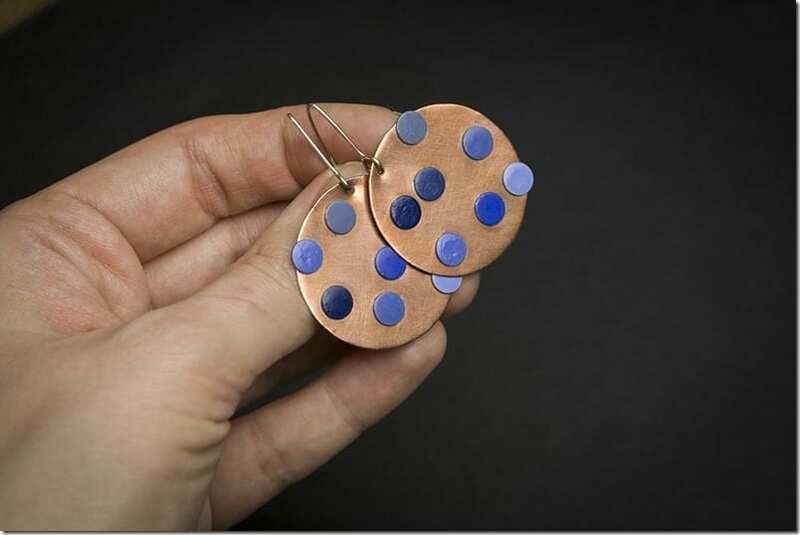 Without further ado, here are the polka dot copper (and silver) earrings for your ear lobes to stand out. Enjoy! So, do you enjoy this funky earring style? Which earrings would so fit your style equation? Share below – I’d love to know. Want to see more gorgeous rustic copper jewelry? Do give RusticCopperStudio a follow!